Built a trailer for one of my RC's seeing i dont have the electronics yet.Spent about $55 in parts minus the tires and built it in one night.It's a little rough but i just wanted to get an idea of difficulty in building one. 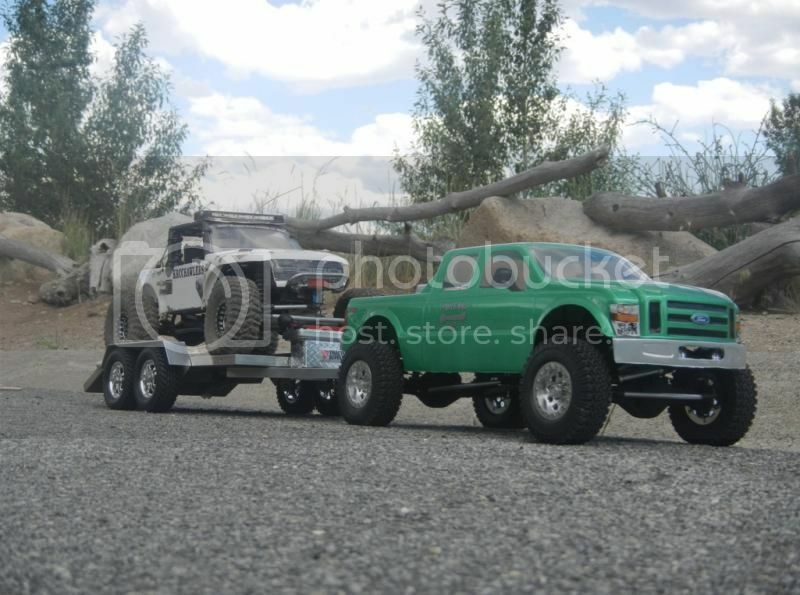 Heres my Tow Rig setup. Both Fords but am building up a Cherokee at the moment so ill be sure and get pics of the XJ on the trailer once its done. Hows your Sawback build coming along? Thank you,i might still put fenders on it at some point.I wanted to get it built for a jeep show i went to. Just got the sawback done a few weeks ago and finally got it out on the rocks last week.It did pretty good,just a totally different vehicle from the axial.It's defently lower and just have to watch my lines.I'll post some pics of my trip at some point.